304 pages | 71 B/W Illus. Computational biology has developed rapidly during the last two decades following the genomic revolution which culminated in the sequencing of the human genome. More than ever it has developed into a field which embraces computational methods from different branches of the exact sciences: pure and applied mathematics, computer science, theoretical physics. 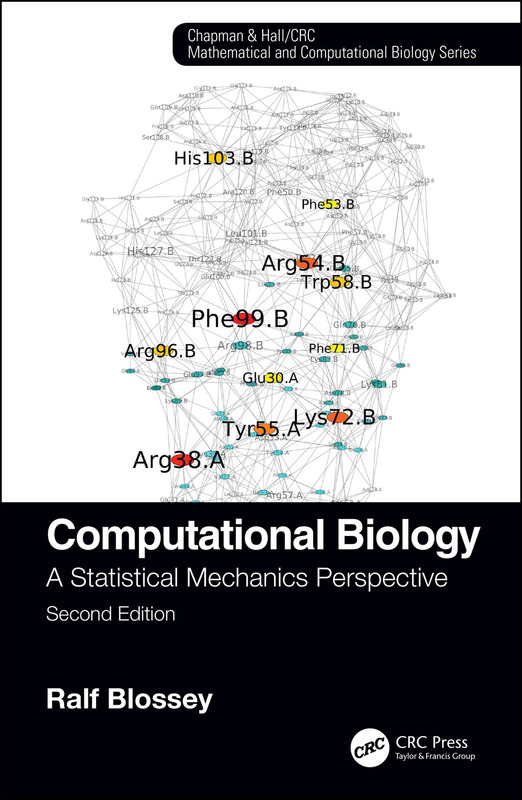 This Second Edition provides a solid introduction to the techniques of statistical mechanics for graduate students and researchers in computational biology and biophysics. New network-based approaches for the study of proteins are presented. All treated topics are put firmly in the context of the current research literature, allowing the reader to easily follow an individual path into a specific research field. Exercises and Tasks accompany the presentations of the topics with the intention of enabling the readers to test their comprehension of the developed basic concepts. Ralf Blossey is a Research Director at the French National Center for Scientific Research, the CNRS, and is based in Lille, in the North of France. His work during the last fifteen years has focussed on the application of statistical mechanics methods to DNA, proteins, gene regulatory networks and chromatin. He has collaborated with many scientists from computer science, mathematics, computational biology, molecular and cellular biology, as well as colleagues from his original field of training, statistical physics.